Bhavkiran "Kiran" Dhesi, 19, was a college student and kidney transplant recipient. She was killed in August 2017 in what police believe was a targeted hit. 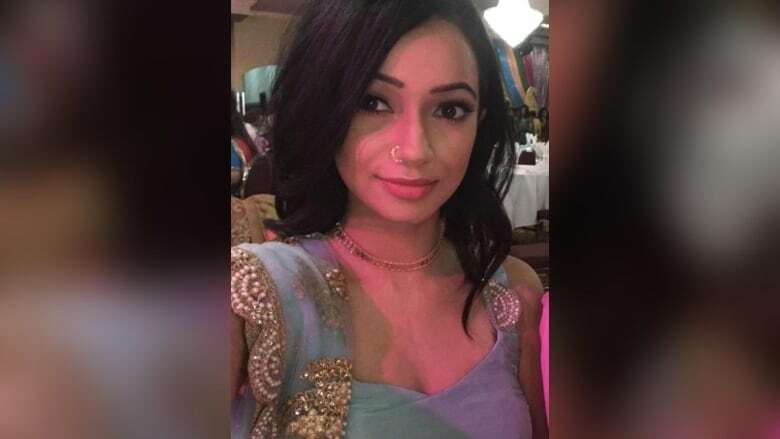 The sister of a 19-year-old college student slain in Surrey, B.C., last year has spoken out about the death of her "best friend," saying the unsolved killing has left a hole in their family for the past 16 months. Bhavkiran "Kiran" Dhesi was found dead in a burned out SUV just after midnight on Aug. 2, 2017. Her death was ruled a targeted homicide, but no arrests have been made. Kiran's younger sister, Anjali Dhesi, made a public plea for help on Wednesday. "She didn't deserve this, but she deserves justice," Anjali said. "Help us fight for her because she's no longer here to do it herself." Anjali described Kiran as the person who "made our family whole." She said her sister had lived with granulomatosis with polyangiitis, a rare autoimmune disease, for the last five years of her life. Kiran received a successful kidney transplant six months before her death — something Anjali said made her cry "tears of joy." "At the time, it seemed like everything was finally going to be OK," Anjali said. "She went through years of dialysis, numerous surgeries and complications, but she was so strong and determined to fight. She wanted to live more than anything in the world," she added. "Her fight ended because someone selfishly decided she didn't deserve a chance at life." The Integrated Homicide Investigation Team said Kiran wasn't known to police and her death isn't believed to be gang-related. 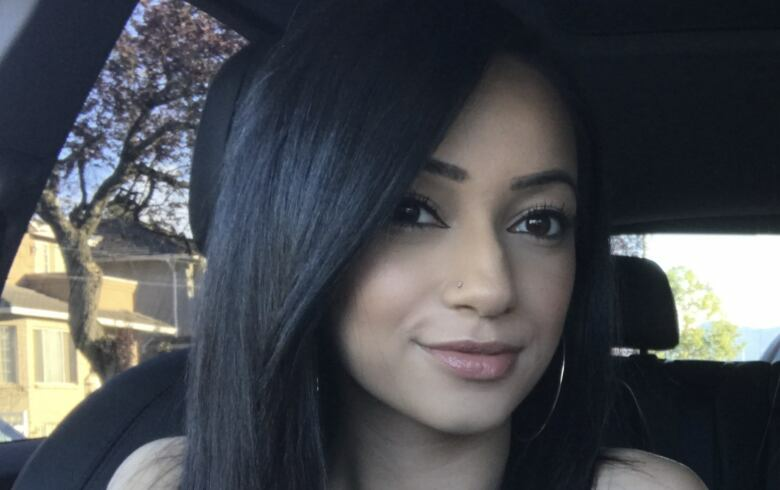 Kiran, who was a criminology student at Kwantlen Polytechnic University, was last seen leaving her family home to meet friends around 9 p.m. on Aug. 1, 2017. Investigators believe Kiran was killed in a different location before she was found inside the burned out car. On Wednesday, IHIT released video footage of two vehicles they believe may have been involved in the killing: a dark grey Audi Q7 and a dark grey Dodge Ram truck. Investigators are looking to speak with anyone who has information about the vehicles. Anjali said her family is desperate. 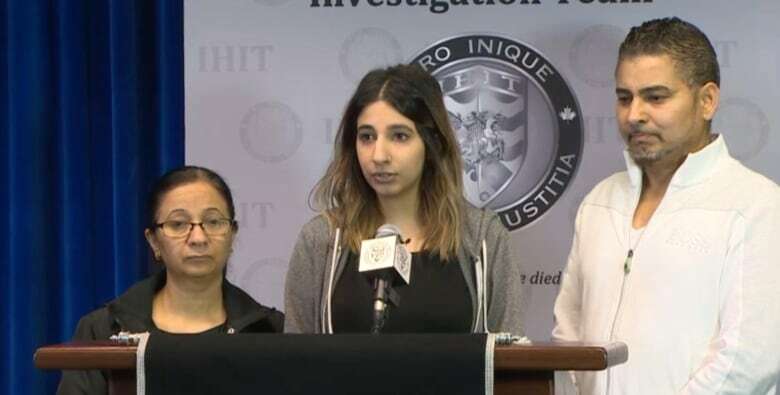 "If you have any information regarding Kiran's death, no matter how small or irrelevant you may think it is, I'm pleading to you as someone who has lost their sister and friend to please come forward," she said. Anyone with any information is asked to call IHIT at 1-877-551-4448 or Crime Stoppers to remain anonymous.